Comes in 3 Great Superman Themed Styles! O2COOL's Prism bottles are perfect for those looking to quench a thirst with a Big Sip of water. 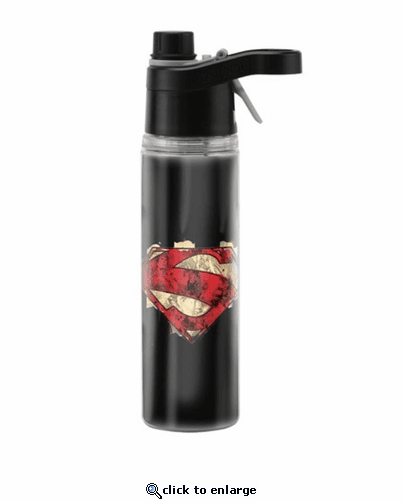 The transparent Tritan\xAC bottle is offered in a variety of teams and includes a fine mist to cool you down. The insulated double wall design keeps your water colder longer.